Jackson & Campbell, P.C. is one of the oldest firms in continual operation in Washington, D.C., tracing it’s roots back to 1887. A founding partner of the Firm’s current structure Edmund “Ed” Campbell was one of Washington’s most admired and respected attorneys. He was well known at the local bar having served as President of the Bar Association of the District of Columbia and D.C. Chairman of the Fellows for the American College of Trial Lawyers. He was also known nationally for serving as a member of the American Bar Association’s House of Delegates, and a member of the American Bar Association’s Board of Governors. Throughout his illustrious career, he was involved in numerous cases that reached the Supreme Court. One case of note was a lawsuit contending that two densely populated Virginia counties were not sufficiently represented in the Virginia legislature, compared to other rural areas. The U.S. Supreme Court’s landmark decision in early 1962 established what became known as the “one man, one vote” or “one person, one vote” rule. It was a decision that lead to the equality of representation in state legislatures nationwide. Ed died on December 7, 1995. Upon his passing The Washington Post wrote “In life as in court, Ed Campbell fought injustice with a passion, insisting that freedom be accorded to citizens without regard to color or belief.” The Campbell Elementary School in Arlington, Virginia was named in honor of Ed and his wife Elizabeth. 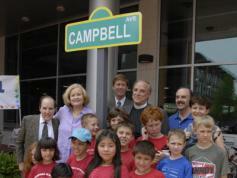 In 2007, Shirlington’s Main Street was renamed in honor of the Campbells. Thomas Searing Jackson, known as TSJ, was a founding member of Jackson & Campbell. He also had an exceptional career outside of the Firm. Notably, TSJ was a founder of the National Institute for Trial Advocacy (NITA), in which he served as its first Secretary and Treasurer and as a member of its Board of Trustees. His work for NITA has become the gold standard for advocacy teaching in the country. He established NITA as a legal entity by drafting its Certificate of Incorporation and first bylaws, obtained its charitable 501(c) (3) status, served as one of its incorporators and as its resident agent for the first decade of its existence. 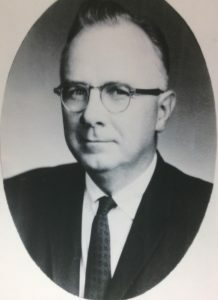 With his two sons attending school in Montgomery County, TSJ went on to serve on the Montgomery County Board of Education in the late 1940s, eventually becoming its President. 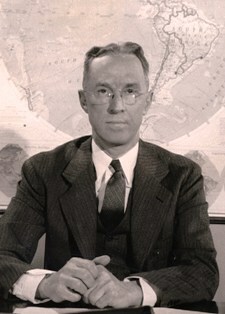 He was lead counsel for the District of Columbia and its superintendent Carl Hansen in his appeal of the Hobson v. Hansen case, which abolished the “track” system in the D.C. Public School system. He was profoundly involved in the American Land Title Association serving as its General Counsel for a number of years. During his career he also served as President of the Bar Association of the District of Columbia, which named him its Lawyer of the Year; he was a Member of the American Bar Association House of Delegates, a Fellow, Regent and National Secretary of the American College of Trial Lawyers, a Fellow of both the American Bar Foundation and the American Judicature Society. Throughout his career, he remained committed to Jackson & Campbell, even withdrawing his name from consideration for a U.S. District Court judgeship to continue managing the Firm. TSJ passed away in 1989 and is remembered as an avid tinkerer, yachtsman, and trial strategy pioneer by those who knew him.